For some, October 14, 1968, was a clarion call to the future. 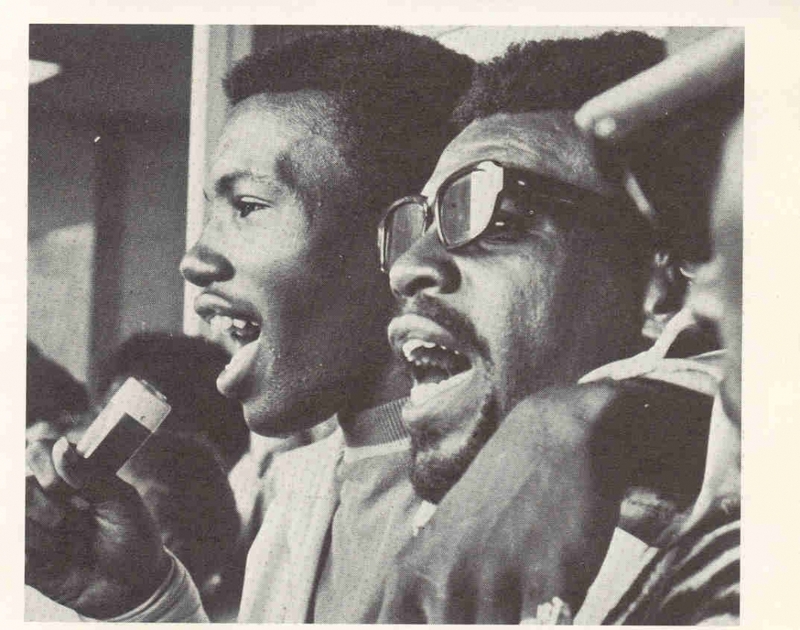 On that day, a group of 12 black students at UC Santa Barbara, tired of the unequal treatment and passive-aggressive racism they received as Black athletes — and as members of the campus community at large — barricaded themselves in the university’s North Hall. 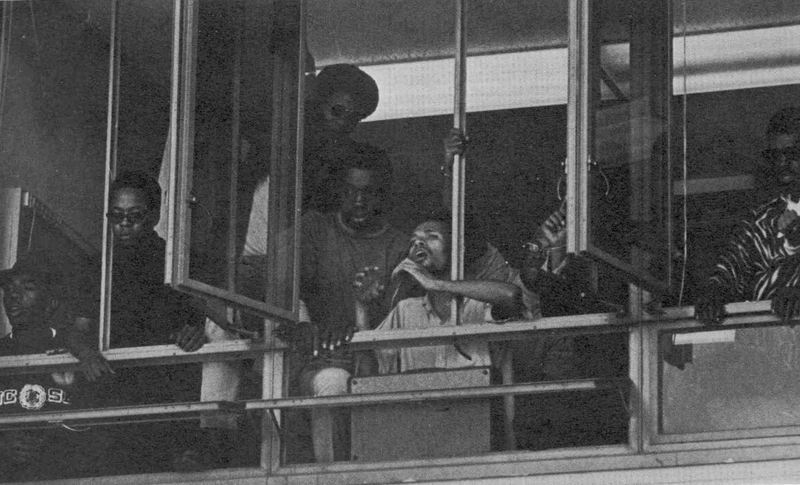 Through their act of civil disobedience, the students brought attention not only to their own circumstances, but also to those of their fellow classmates who did not see themselves reflected in academia. “Everyone agreed we needed to do something drastic,” recalled James Johnson, a UC Santa Barbara alumnus and a North Hall activist. Johnson, who had transferred to UC Santa Barbara from Los Angeles Community College, had a history of activism and the group solicited his advice. That someone was Murad Rahman (Maurice Rainey at the time), a graduate student in sociology and chair of the campus’s Black Student Union (BSU). Although some suggested seizing the chancellor’s office, Rahman believed that occupying the computer center would provide a strategic advantage because the university would not want it damaged or destroyed. So they made a decision. “We planned it, and the next morning we did it,” Johnson went on. “We could capitulate or we could stand up for ourselves.” For 12 hours the next day, they occupied the building — temporarily renaming it Malcolm X Hall. 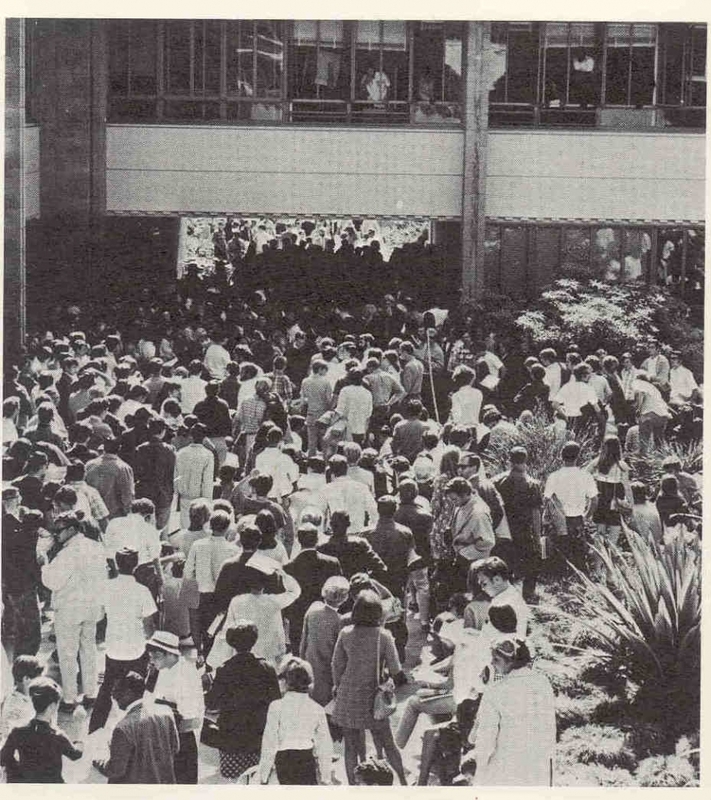 UC Santa Barbara undergraduate Booker Banks played a key role in the occupation, using a microphone to mesmerize, inform and entertain the large number of white students who surrounded the building. Banks was able to articulate the Black students’ message and why the takeover was occurring. Rahman noted that that if law enforcement had wanted to rush the building, they’d have had to overwhelm student sympathizers outside. The Black students’ action worked. As a result of the North Hall Takeover and the students’ demands for more relevant curriculum and a more comfortable climate on campus for Black students, a process of institutional change began that resulted a year later in the founding of the Department of Black Studies and the Center for Black Studies Research — one of their core demands. The takeover impacted other areas of ethnic and gender studies as well. It contributed to the establishment of the Chicano and Chicana studies department in 1969, and opened the door to the creation of the Asian American studies department, the women’s studies department, which would become the Department of Feminist Studies, and other research areas that currently examine inequality and a multicultural world. Fifty years later, that clarion sounds again as a group of those individuals — now alumni — join current students, faculty and others for “A Black Vision of Change,” a conference that reflects on the importance of the North Hall Takeover and explores ways of creating a better future for Black students and, consequently, for all students at UC Santa Barbara. To that end, the conference features an array of activities, including panel discussions and talks. Saturday will open at 9 a.m. with a welcome from Lisa Przekop, UC Santa Barbara admissions director, and Marcus Mathis, assistant director for diversity initiatives, followed by additional remarks from Stewart, Aida Hurtado, who holds the Luis Leal Endowed Chair in Chicano Studies, and John S. W. Park, a professor of Asian American studies. At 11:30 a.m., the panel “A Black Vision of Change at UC Santa Barbara, 1968 and 2012,” moderated by Aaron Jones, will bring together North Hall activists Thomas Crenshaw, Stan Lee and Murad Rahman and 2012 activist Alexis Wright. Also Saturday, Vilna Bashi Treitler, professor and chair of Black studies at UC Santa Barbara, will moderate a panel titled “Write the Next Chapter” that will include Trevor Logan, who holds the North Hall Chair in Economics; Victor Rios, professor of sociology; Yoel Yosief, political director of the Afrikan Black Coalition; and Sharon Tettegah, director of the campus’s Center for Black Studies Research. In addition, moderators Nezey and current BSU President Mariyah Lewis will lead an intergenerational alumni and student dialogue. The three-day conference will offer myriad opportunities for current and prospective UC Santa Barbara students to meet and create connections with alumni and faculty members. “The event is designed to make these students feel they will be best served here at UC Santa Barbara,” Stewart said. The event will also include a concert by Fendika, an Ethiopian music group from Addis Ababa, in the campus’s MultiCultural Center Lounge; and “A Luta Continua,” an exhibition curated by UC Santa Barbara Black Studies Librarian kynita stringer-stanback. Located in the library’s Ethnic & Gender Studies Collection, the exhibition celebrates Black student activism at the university through archival photographs. More information about the conference, including a complete schedule of activities, can be found at https://www.alumni.ucsb.edu/events/north-hall-takeover.